For 20 years, A2B Tracking Solutions, Inc. has delivered critical asset tracking solutions to the military and aerospace industries. To support ambitious growth goals, the company sought to clarify its message and focus marketing efforts. CEO, Peter Collins, turned to Chief Outsiders, Todd Chambers and Mauricio Barberi, attracted by their strong technology company track record. Harnessing their positioning and digital marketing expertise, A2B Tracking adopted a “military grade” brand and messaging strategy. After six months, leads doubled with more effective execution of the revised marketing plan. With over 500 clients, the professionals at A2B Tracking Solutions, Inc. (A2B) understand the needs of Department of Defense agencies and affiliated contractors. For two decades, they have pioneered military-grade solutions for identifying, marking and tracking critical assets. While primary markets include military bases, armories and depots, A2B’s product offerings hold broader appeal. Because the company’s tracking systems meet high military standards, they also have commercial application in markets like transportation and manufacturing. To meet aggressive growth goals, Collins and his team recognized the need to focus marketing efforts for greatest effect. “We need to ensure that, from a strategic perspective, we understand the markets that we want to pursue, and that we are positioning the company properly.” he explained. That positioning effort meant answering the question of whether A2B should focus on expanding its footprint in the military marketplace or broaden the net to include a wider range of commercial enterprises. Seeking consultants who could provide expertise that A2B lacked in-house, Collins researched a few alternatives before deciding on Chief Outsiders. With a three-month engagement finalized, digital marketing expert Todd Chambers jumped right in, followed by Mauricio Barberi who added his product positioning expertise. They began by interviewing customers and key employees within the A2B organization, reviewing existing marketing materials and analyzing the competition. Barberi met weekly with the A2B leadership team to recap and plan, conducting a more comprehensive review at the end of each month. A final presentation included strategy recommendations and a detailed marketing plan. “Right out of the gate, they took the reins and developed strategy to learn more about what we do and the different facets of the business,” stated Collins. Within weeks, Chambers and Barberi began outlining a powerful strategy for growth. Barberi also developed a Brand House model for A2B, “laying out who we are, why we exist and why we’re better than the competition,” Collins related. With the brand clarified and market differentiation established, Barberi worked with A2B to incorporate this vision into a comprehensive marketing plan. The consultants also provided specific direction for maximizing marketing effectiveness. “They weighed in on our long form content and how to create an effective campaign, with suggestions on how to get people drawn in to calls to action,” explained Collins. Less than six months after engaging Chief Outsiders, Collins reports significant results with a 100% increase in leads. Throughout the engagement, the marketing staff at A2B increased their effectiveness by close association and mentoring from Chambers and Barberi. “Now that he’s got some of the insights from Todd and Mauricio, my marketing manager has become considerably more effective in all aspects of content marketing, establishing campaigns and the use of social media,” related Collins. With leads doubled, sharpened focus and a marketing organization starting to excel, Collins is pleased with the outcome of the Chief Outsiders engagement. Mauricio Barberi is a digital-savvy marketing, business development and product executive with nearly 20 years of experience in helping emerging growth and middle-market technology innovators realize their market potential. He has built, led and energized high performance teams on a worldwide basis, developed and launched disruptive SaaS, Cloud and Big Data products and services, and has driven breakthrough revenue growth in collaboration with sales leadership and strategic partners. 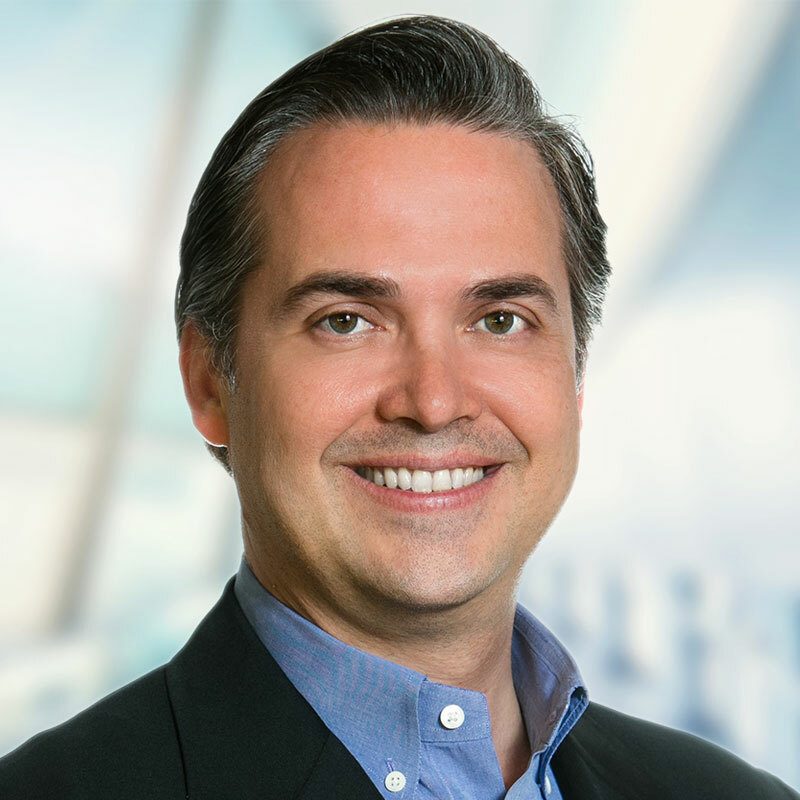 Barberi has spearheaded marketing, sales and strategic partnership initiatives with dozens of high profile industrial and consumer enterprises, including Siebel, Salesforce, Microsoft, Sun Microsystems, SAP, SAS Institute, 3M, Schneider, Wyeth, Berlex, J&J, Eisai, American Express, Columbia, Guess, Levi’s, Patagonia, Lululemon, Adidas and Jones Group.